French: Icterie a poitrine jaune; German: Gelbbrust-Waldsanger; Spanish: Reinita Grande. With a length of up to 7.5 in (19 cm), it is the largest wood warbler. Upperparts are olive, throat and breast are bright yellow, and the rest of the underside is white. Face is blackish with a white eye stripe and eye circle, and it sports a plump, conical bill unlike the typical warbler bill of the family. The female and male are similar in appearance. 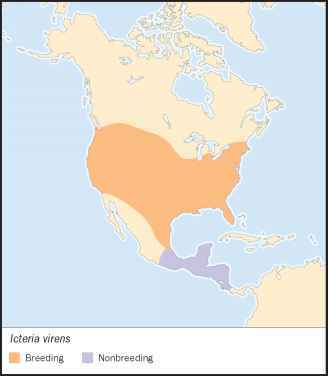 Breeds from east to west in the United States, north into southern Canada and south into Mexico. Winters from Mexico south to Panama. Prefers to be near water, spending most of its time hidden among tangles and thickets. accounts flopping, falling, and tail-swooning through the thickets. Its songs, some of which it performs at night, combine a few melodious bursts interspersed with gobbles, caws, and other less delicate sounds. It also has been described as a ventriloquist in that it can throw its voice and fool even experienced birders. Mainly insects, but also eats berries. Cup-like nests rest in the tangles and brambles, and typically hold up to six brown-and-purple-speckled eggs. 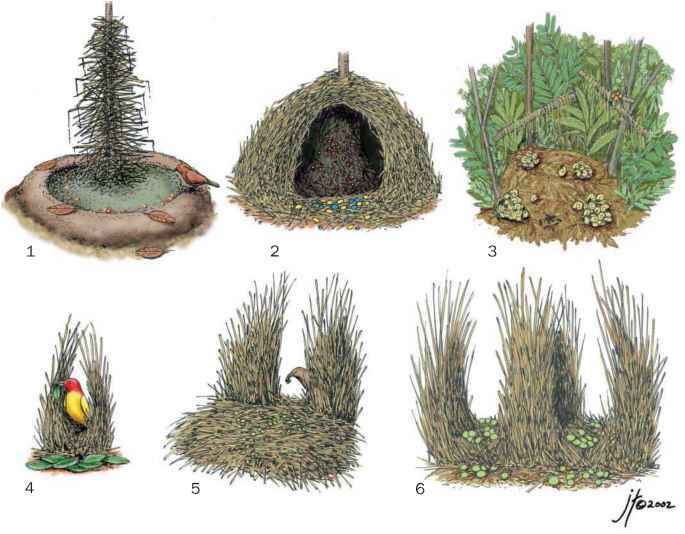 More than one pair may share a nesting site.